Marwan Abedin is CEO and Founder of Flatrace Investments, providing the strategic vision and leadership for the firm. Over the past 20 years, Mr. Abedin has served as a CEO, Chairman and/or Board Member for a number of Government, private and publicly-held entities, including CEO of an Investment Fund within the Government of Dubai, Member of the Board of Directors of Noor Bank, Member of the Board of Directors of the Dubai Healthcare Authority and Member of the Board of Directors for Emaar Properties PJSC as well as Chairman of its Investment Committee. Thus far in his career, Mr. Abedin has executed over USD 40 Billion worth of transactions representing both the Government of Dubai as well as the private and public sectors. Of note, he has led many debt issuances for the Government of Dubai, which include the first 10 year MENA unrated sovereign issuance in 2010 and first GCC Toll Road (SALIK) monetization in 2011. 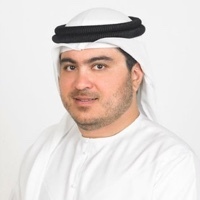 Before his position as CEO of the Investment Fund, Mr. Abedin was appointed Director of Debt Management at the Government of Dubai Department of Finance. In this role, he was responsible for the treasury and debt issues related to the public sector entities. Mr. Abedin also aided in the development of the GCC debt capital markets, significantly broadening the range of funding sources within the region.